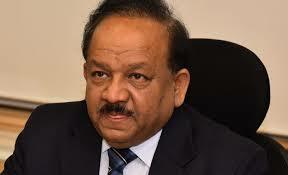 Union Minister of Environment, Forest and Climate Change, Dr. Harsh Vardhan has said that Ministry is continuously pursuing the matter of Air Pollution Control in Delhi. As directed, the Central Pollution Control Board had also called a meeting with the implementing agencies to review the actions being taken for better air quality in Delhi and NCR. “It was evident that because of sustained actions by various agencies, the air quality has improved significantly”, the Minister said.Dr. Harsh Vardhan pointed out that air quality has further improved and the Particulate Matter (PM) levels at 1800 hrs today were 243.9 (PM10) micrograms/cubic meter and 153.6 (PM2.5) micrograms/cubic meter. The Minister added that all actions including dust mitigation measures by the construction agencies are being insisted upon. Dr. Harsh Vardhan stated that the Chairman CPCB, Secretary, DST and Chief Secretary of Delhi Government had a meeting to discuss the issues of landfill sites and both short and long-term measures required for effective control of air pollution from the landfill sites.